Turf & Dirt - On Horse Racing: I Want Revenge moves along Derby Trail, wins dirt debut. I Want Revenge moves along Derby Trail, wins dirt debut. I Want Revenge, very impressive in dirt debut. Imperial Council, got the race Shug wanted. 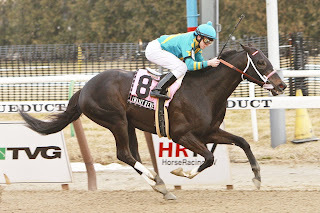 1 OLD FASHIONED Unbridled's Song Larry Jones Rick Porter Ramon Dominguez 3/14 OP Rebel S.